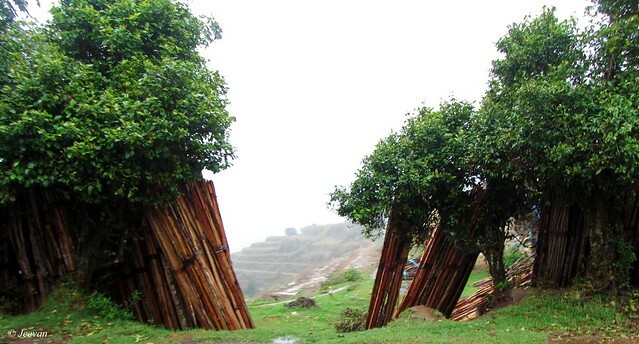 During my visit to Kukkal, a village near Kodaikanal, I come across this interesting fence built using firewood’s or bunch of sticks accompanied by some shrubs lined along. The gap between the fences captures my attention to click photo. Last Thursday my father suddenly decided to visit the Thiruporur Murugan temple and by afternoon, along with my uncle’s family we head to the temple. And btw my uncle suggested checking the Anjaneyar temple on top of a small hill near Kelambakkam – about 35 km south of Chennai, which my parents and others wanted to do for a long time. 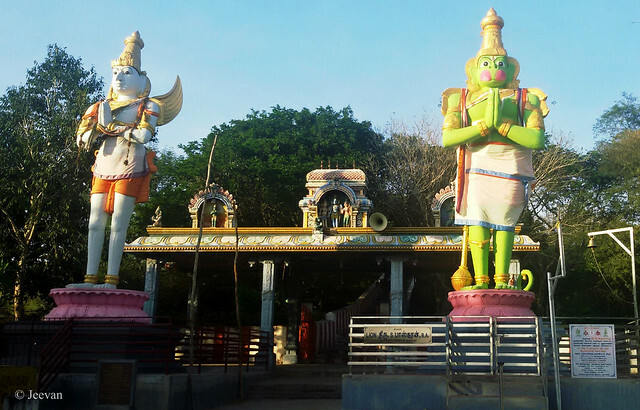 Sri Veera Anjaneyar Temple in the village of Puthuppakkam is 5 km from Kelambakkam, on the road towards Vandaloor, is the beautiful small temple situated atop a hill called Gajagiri hills. We know this temple from a very long time and those days it can be reached only by steps, that too in pathetic condition, never gave us a thought to try although we have passed this hillock many times. 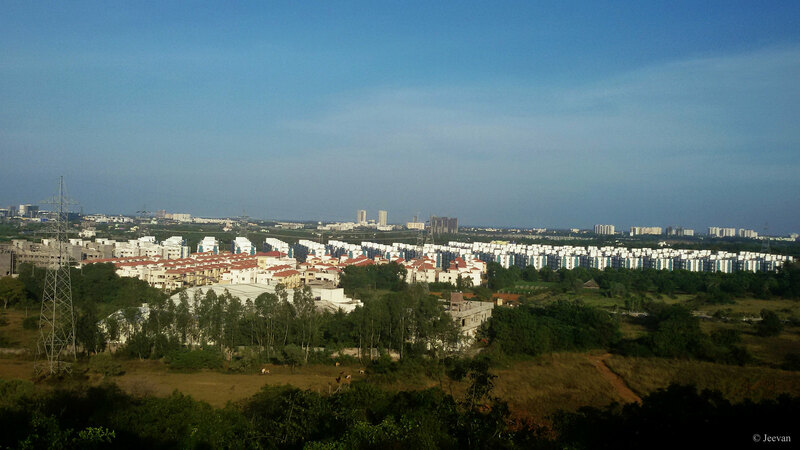 A view from hilltop towards east... stretching across OMR and ECR and far end with sea. My cousin who visited this temple few years back comes to discover a road has been built up to the hill top. And from that time onwards, I wanted to go to this temple to get some views around the area from the hill top, with SIPCOT IT Park as its backyard. So taking this as a wonderful opportunity, I also find it little exciting take the small road up the hill with couple of hairpin bends! It was cool and breezy, and awesome with views once atop. 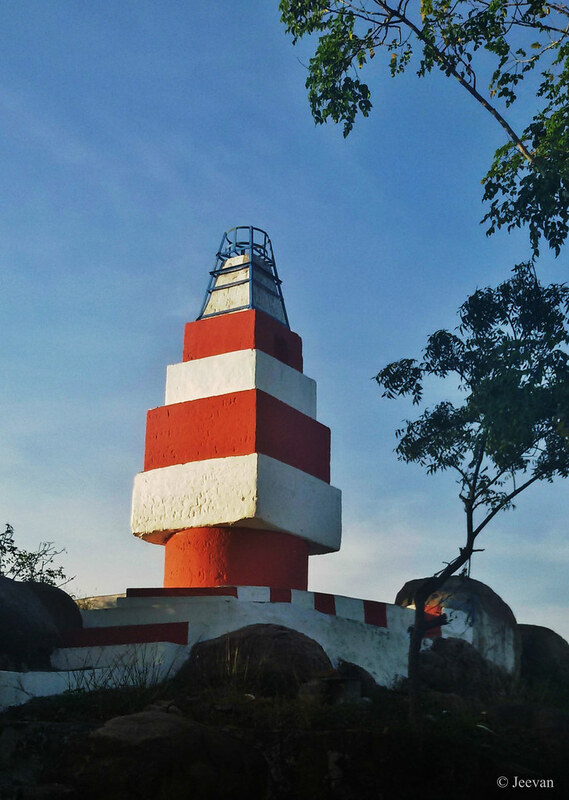 The temple is told to have a strong connection with the Nithiyakalyana Perumal Temple in Thiruvadanthai, next to Kovalam in ECR. It seems, every year they set/said to follow a custom of carrying certain things as procession from the Anjaneyar Temple to Nithiyakalyana Perumal Temple in times of festival. Thiruvadanthai being my grandmother’s native village, my mom used to indicate it always when coming across the temple. 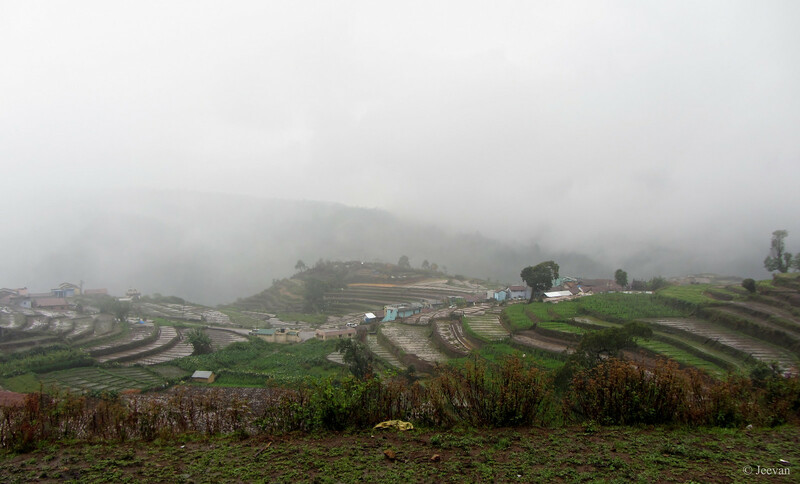 As soon we reached the foothill, I was amazed, not just looking at the two big colorful statues of Hanuman and Karudazvar that stands upright on the either sides of the footsteps leading to the top. It was the place only recently I saw in a Tamil movie, where an action scene took place. There are 108 steps to reach the temple if one decides to take by foot, while enjoying the nature. The temple believed to be 500-1000 years old, is also said to be that while carrying the Sanjeevi Hill to save Sri Lakshmana, Sri Anjaneyar stopped here for a while to perform Surya Namaskar. So he become so powerful at this place to named Veera Anjaneyar. The temple was quite calm and clean when we visited, but I couldn’t take more photos as I left my camera at home. Here are photos shot from my sister’s mobile. As you all know I have shifted home to my pretty old area, where I born and brought up till I was 20. It was in 2005 we left our native house in Adyar for the convenience of mine, and to avoid the difficulty of being carried up and down (to the home in 1st floor) each time while going out, we shifted to three different places in a decade except staying at our own apartment flat for 7 years, others were rented. I never thought I would come back to where I belonged and also haven’t wished as I know it’s not possible to go back unless there is great alteration to my native house. We don’t find any difficult with this house, except for few more works related to plumbing has been pending for the owner of the house to be done. We have settled for a comfort stay and the house was spacious than expected to accommodate all our things and well lit and airy throughout the day. The house with front and back entrance facing each other, accompany by two big windows, make feel not choked inside. I think mosquitoes are something impossible to avoid and it seems they are presented no matter where but to feel glad they are growing less day-by-day as summer emerging. Other day I went out in my wheelchair, for the first time on the streets where I wandered, run and played a lot and pedaled the cycle plenty of times. There isn't much change happened in my area in the decade past although I find some new apartments and reconstructions has emerged and roads enhanced to concrete from the tear up to tar. My uncle accompanied me, also led to our native house to say hi to my cousin and aunt who come down in regard receiving me as I could not go to their upstairs home. Like I wished not many noticed me in the area that day, as most are shifted to various places and those being in touch know my condition well but not many would seen me in wheels, but I was glad to meet my childhood friend Karthi on my way. He used to come and talk to me anywhere he sees me but it’s been long back met him as well. As I remember he’s my first friend and only through him I know others in my neighborhood and my best part of childhood days were also with him and his brother. Until 1998 before temporarily shifted to my grandmother’s house, as we reconstructed our own, I used to visit him as well as he and I also had a close friendship with his brother – which I don’t know how it broke – and his father also used to be friendly with us. Even though we were back within a year to our newly built home, my difficulty with life has brought a big void between our relationships in reaching or following back. Initially I thought some sales man was standing at the corner of the street, when I saw him that day but moving closer he came with a smile greeting me and also put me in wonder with great transformation in his look that almost resemble his brother. After shifted here I feel nostalgic at every move out of the home. I remember that it was in front of this house I once fishing in the rainwater drain after some heavy showering. And those days it was the street that often used to be stagnant to rainwater where we come to play in water and I have drenched few times by slipping while playing in water. Ours was a continuous resident area and my native house being situated on the main lane/road; our playgrounds were the backstreets where the house of our friends located. There isn't a nook or corner left where my footsteps patched and I have walked these streets until my legs aches. And it was so good to be back, at least on wheels, to rediscover the area that I hold lot of memories. First time stepped out, after almost settled at the shifted house, to watch Yennai Arindhaal – an excellent Tamil action thriller film, from the director (Gautham Menon) who is popular with his cop subjects and this is supposed to be the conclusion of his cop trilogy. Ajith who wore the khaki shirt/cap this time, even though he’s seen almost in casuals, has recreated an image for himself and battled well parallel to Surya in Kaakha Kaakha and Kamal in Vettaiyaadu Vilaiyaadu. 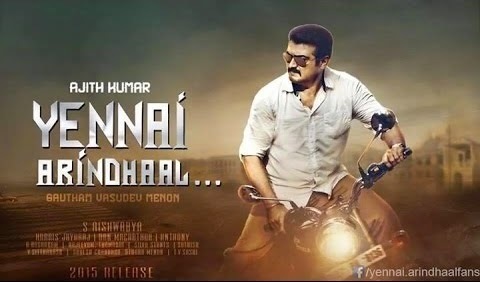 Yennai Arindhaal is portrayed around the protagonist named Sathyadev and apt to the name (Sathya, which means truth), the character has consciously tried the best in establishing the same. Ajith comes in four different look and style, according to the phases of his character, has exhibited smart and intelligent to admire and also a person with intense while combat and gentle like wind when patting his loved ones. Next to Ajith the most impressive was Arun Vijay’s performance, as anti-hero. He has acted more than dozen films as hero, but he couldn’t address well in industry rather being son of veteran actor, Yennai Arindhaal will lead him where he wants to be. Although his character and hairstyle reminds Pandian of Kaakha Kaakha, Arun’s hard work is bright enough. Trisha comes as bold and beautiful, and allured, although portrayed a character of pretty young mother, her romance with Ajith look matured and rejuvenating at same despite their relationship that sounds odd and many couldn’t get what. I think the best and most exciting part of the film was the 2nd half from where I feel the real movie starts. The film kept moving at the rear was very interesting and engaged, even though the progress was predictable. One of the blissful parts of the film was the music! Harris Jayaraj’s background score, as well the beautiful songs are caressing the heart as fascinating as cinematography, which hold some unique light presentation. Though the film was captured mostly under low light and many scenes composed in night, there’s something enrich in tone and light to cause thrill and admire. Like they say, last but not least, Gautham Menon’s way of filmmaking is something worth watch whatever the subject. As you all know there are monkeys in my neighborhood, here is couple of photos on few monkeys perched on a terrace of neighbor's house. A little one climbing over the railing of an open balcony... 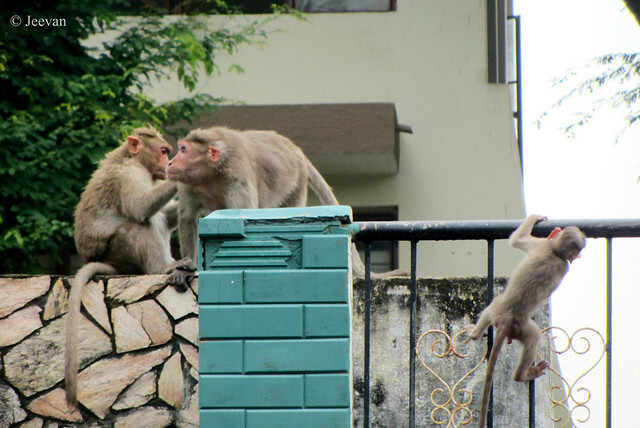 I am also expected to see these monkeys in my yet to be shifted residence, since the canopy of trees (that spread behind this house) extends to the backyard of the row house that we planned to move this weekend. Another house shifting event ahead! A month less than to utter a year, another move waits ahead in form of house shifting. Like the previous one, where we lived for the same period i.e. we are moving out of this house as moved in eleven months before. Though the reasons aren’t same this time, I think the move could be for the betterment of life, peace in environment and nostalgic with memories. 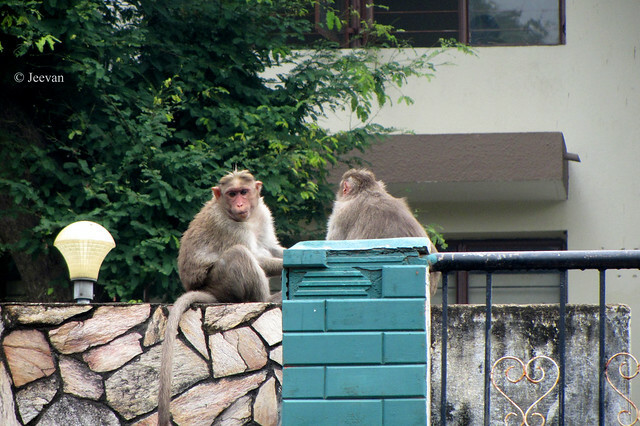 Shifting to a place I was familiar and very close (120m) to my native home – where I grew up and lived till I age 20 and started blogging – and a street adjacent to the current one, brings me to feel closer and nostalgia. We aren’t stressed searching house this time and the house that we suppose to move in next 2 days was the only one we checked and liked at the initial step itself. It isn’t a great bungalow or spacious house, but the compact in size (I think) is more than enough for 4 members to stay comfort. The house positioned in ground floor is a kind of row house but built with enough space between each duplex house to park cars. What impressed me as usual was the environment. The house in a backstreet or street away from the main road is quite calm and very less expose to pollution, seems to have good ventilation and light. Being the first house on the row of three, I hope to catch with things happening on street looking out through the windows. I could also come out and wader in the open space, as well go on street without fear. I hope I could write more about the place, the happy old days and the memories that I always cherish as best and many things to connect while transferred back to origin. Even while shifted to this house (the current one) we weren’t quite comfort or content, but to put an end to the house hunt which has been constant and unsettled for quite some time. When things were settled on its own, very lately, the owner of this house raised their voice for reconstruction. Though we aren’t in force anyway and their announcement and request weren’t harsh anymore, but our intention (to shift home esp. 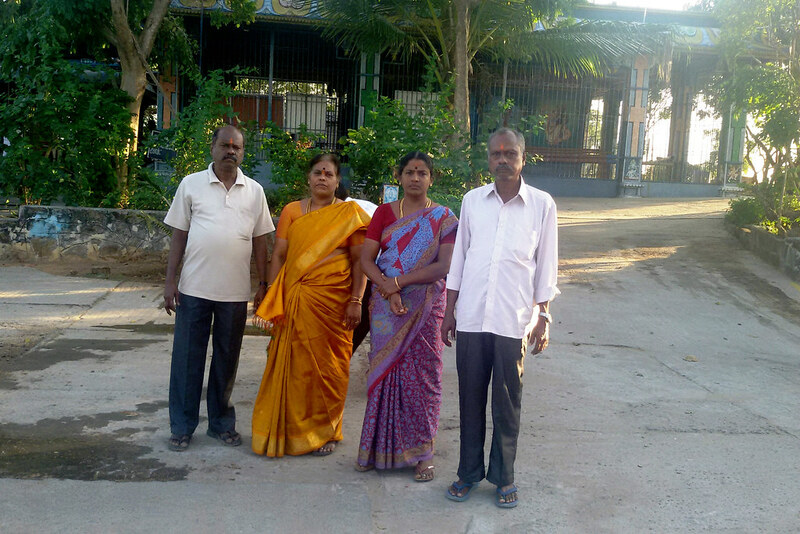 due to water problem and expose to nuisance created by the school as we staying opposite to) has been fuelled by their pre-plan although a year still left according to their two years agreement. The broker who showed us this home never said or he too ignorant about the lease contact, but being committed we aren’t to go back immediately then. Gladly all doors open for us this time, there is no broker fee, anymore conditions on keeping pet or restriction in food, because most of the ads on houses for rent these days prefer only veg. So we are happy to move to a different home and I am excited about the new environment and people, although it isn’t quite new but within 10 years don’t things change anymore? The landscape of Adyar has been turned to certain extent and exists alongside equally with old residence and buildings. Not all people we are familiar with exist. And when I left this area I wasn’t wheelchair bound and not many would have confronted me after I become confine, but my memories behold many faces and moments fresh. P.S. Since shifting house, I could not access to internet for less than a week or so... putting off to all online activities and blogging. Hope it doesn’t take a month to reconnect like it happened last time with shifting. I will blog until I am available with net or shifted quite. 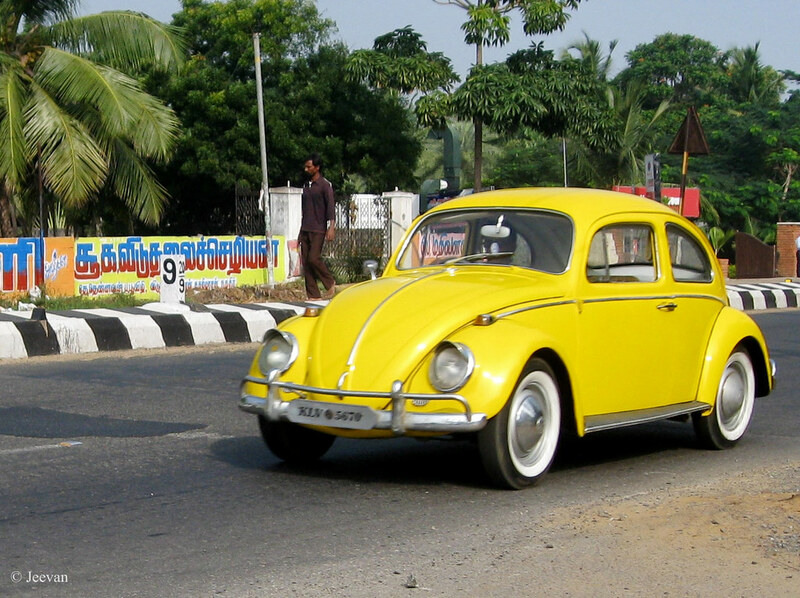 There was a heritage car rally happening in Chennai this weekend, where the old cars are drove to and fro to Pondicherry. Being close to Elliots Beach in Besant Nagar, I couldn't visit the venue – where cars are parked in front of the promenade – although I was interested, I wasn't intended to go to be the truth. But I have been to one of the rally held in VGP (Golden Beach) parking lot, few years back on ECR and got chance to capture some of the vintage cars on park, as well as on move. Follows one of the cars I found in rally: a yellow color Volkswagen Beetle, a 1964 model! The Volkswagen Beetle, also known as VW Type 1 or VW Bug, is a two door come four passenger car with rear engine manufactured and marketed by German automaker Volkswagen from 1938 until 2003. The need of this car and its functional objectives were formulated by Adolf Hitler, leader of Nazi Germany, who wished for a cheap, simple car to be mass-produced for the new road network of his country. He contracted Porsche in 1934 to design and build it to his exacting standards was one of the first rear-engine cars, which was on designing for four years. With over 21 million manufactured in an air-cooled, rear-engine, rear-wheel drive configuration, the Beetle is the longest-running and most-manufactured car of a single design platform, worldwide. Although designed in the 1930s, the Beetle was only produced in significant numbers from 1945 was internally designated the Volkswagen Type 1 and marketed simply as the "Volkswagen". 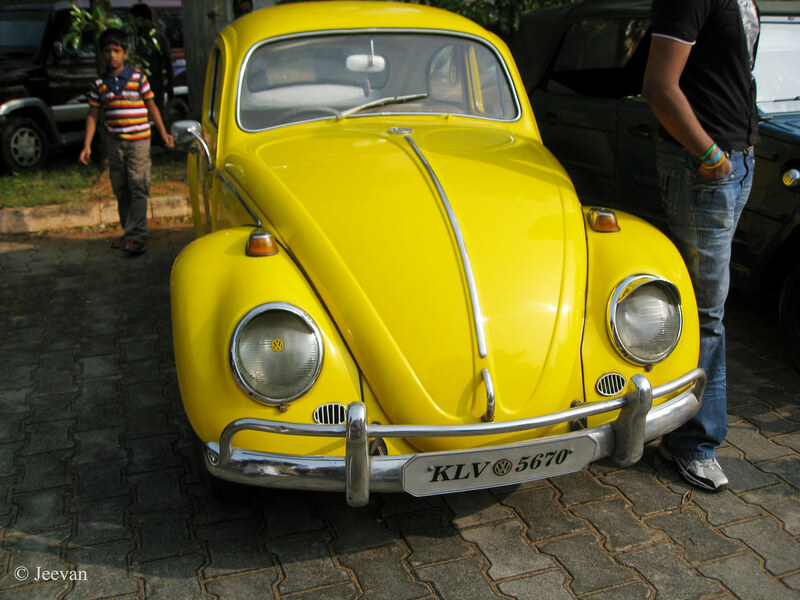 The model became widely known in its home country as the Käfer (beetle in German) and was later marketed as such in Germany, and as the Volkswagen Beetle in other countries.